Though the incidence of stress fractures in the military is almost half of that of elite athletes (12% vs 21%), recruits who sustain stress fractures are four times more likely to be discharged from training programs and are at a higher risk for sustaining a subsequent stress fracture. Rehabilitation from stress fractures requires personnel and monetary resources that can burdening the public budget. Time required for stress fracture rehabilitation has not been previously studied in a well controlled population, and the military provides a controlled environment with standardized procedures for recovery. Recruits who take longer than a week to heal from their injury are removed from training for rehabilitation. 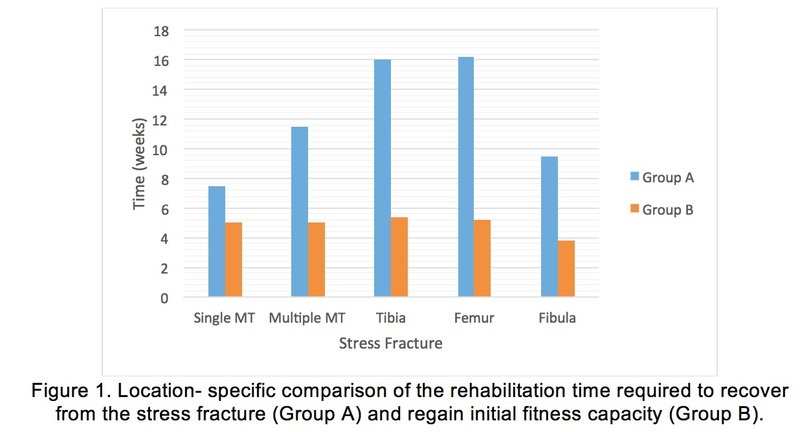 In a longitudinal prospective study, the authors aim to quantify the incidence of stress fractures and the rehabilitation time required to recover from the initial injury (Group A) and regain pre-injury fitness capacity (Group B). 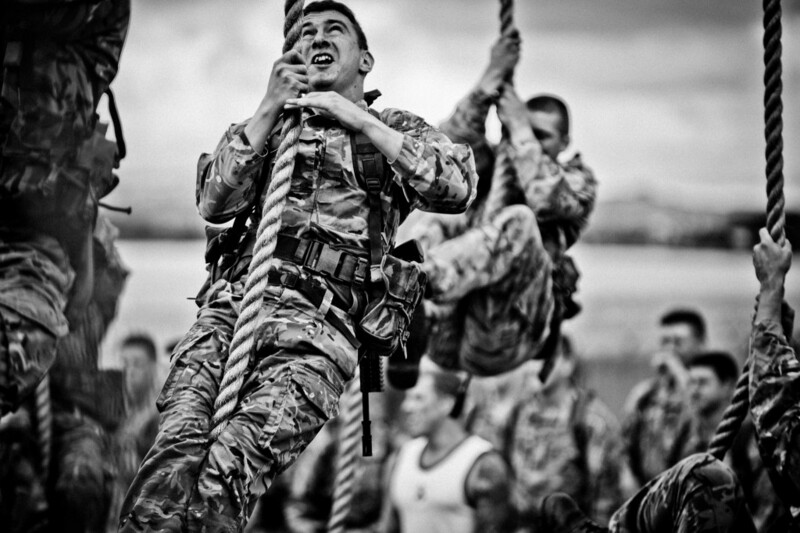 Royal Marine training is an average of 37 weeks with increasing intensity as the program progresses. All recruits that presented with symptoms of a stressed fracture had a plain radiograph taken and was admitted to the physiotherapy unit regardless of the results. If the patients were symptomatic two weeks later, a second radiograph would be obtained, and if the second radiograph was negative, MRI imaging would be performed. Rehabilitation length was measured in two time intervals: recovery from the initial injury and return of fitness capacity. Between April 2004 and April 2008, 4200 recruits trained to become Royal Marines, and 208 patients sustained 220 stress fractures. 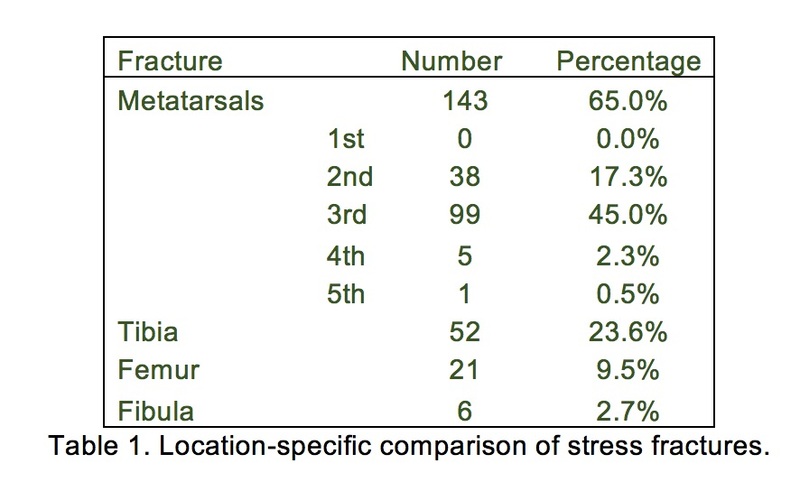 As seen in Table 1, the most common stress fracture is a metatarsal fracture, especially on the third metatarsal. The second most common bone to sustain stress fracture is the tibia followed by the femur and the fibula. The majority of the femur fractures were sustained at the neck of the femur (81%) and the remaining fractures were found in the metaphysis. When the fracture incidence was divided between the first and second half the the week, approximately the same number of tibia, femur, and fibula stress fractures occurred in the first and second half of the training. However, almost three times as many metatarsal fractures occurred in the second half of training than the first half. The third metatarsal is relatively more resistant to movement than the other metatarsals, which increases its susceptibility to stress fracture. Future research should focus on the biomechanical dynamics of the forefoot and possible interventions that could reduce third metatarsal injury. As seen in Figure 1, except for the fibula stress fracture group, Group B was similar between injuries and was probably the time required to regain cardiovascular fitness and muscle strength. Therefore, future research should focus on reducing the time between the injury and activity-specific training commences (Group A). Possible investigations should include earlier physical activity initiation and pharmacological interventions that would reduce recovery time. Stress fracture rehabilitation is costly to the already strained military budget. This study identified the location-specific incidence and quantified the rehabilitation requirement. Future work should investigate forefoot biomechanics as it relates to the most common stress fracture on the third metatarsal. Moreover, pharmacological and activity-specific interventions should be further investigated during the initial recovery period. Wood et al. (2014) Incidence and Time to Return to Training for Stress Fractures during Military Basic Training. Journal of Sports Medicine.